Friend and client - 32 years old. Fran Seubert is first and foremost a sourdough baker. 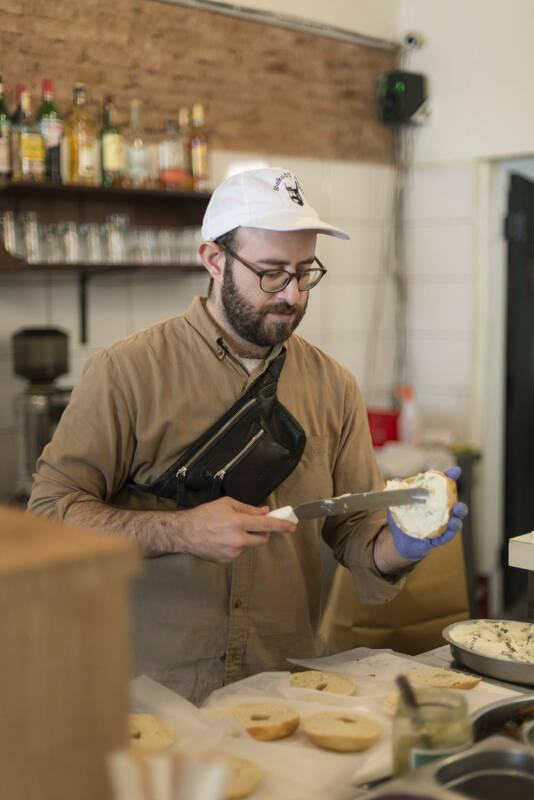 He spends his days creating and making bread with no additives or external yeast, respecting traditional argentinean recipes with a new updated natural focus. 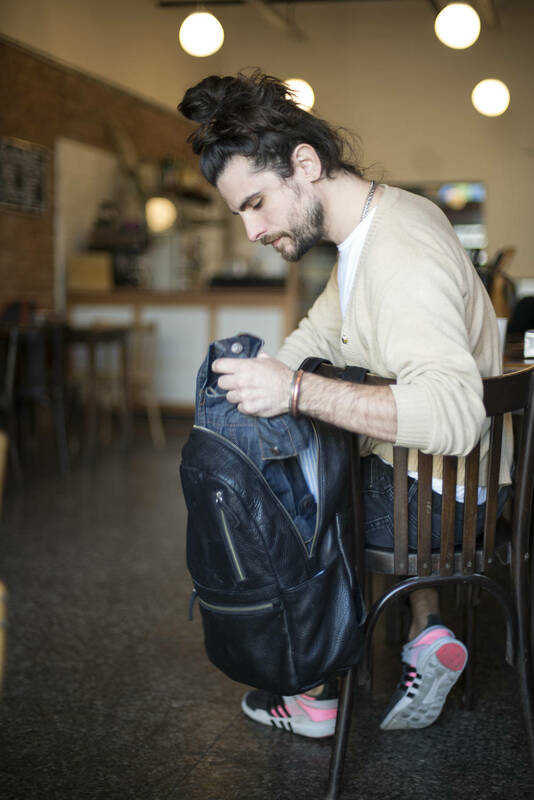 We share his values and drive, and it´s not hard to see the parallelism between his work and what we do everyday here in Nimes, preserving our leather as natural as we can, with no chemical proccess involved, applying it to contemporary and funtional designs. We also love his bread, but we´ll save that for another post. As you can now imagine, this is what inspired us to take some pictures with him. 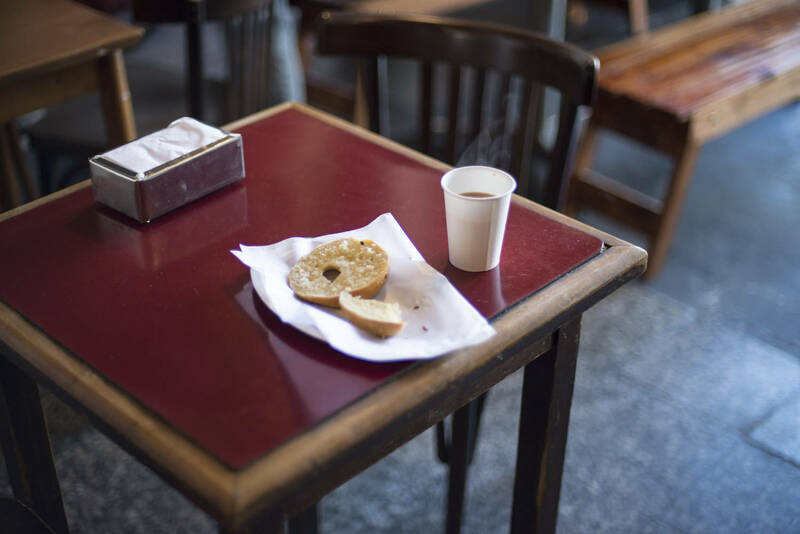 We met a cold sunny autumn morning at Sheikob´s Bagels, one block away from our workshop and one of our favorite spots in the city. Fran and Sheikob are also friends, and again, we have come full circle. We spent the day between coffee and bagels, joined by our friend Mili Avellaneda, and José Gallego behind the lens.